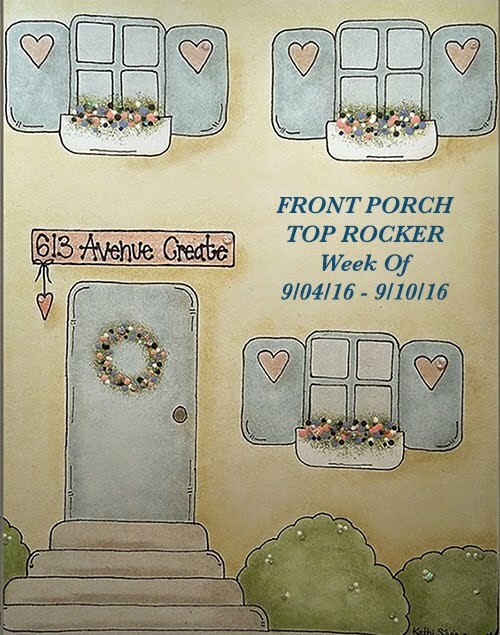 I'm here a bit late this afternoon posting my card for this afternoon. It's been ages since I've participated in an OCL challenge, so I thought I'd give it a go once again. 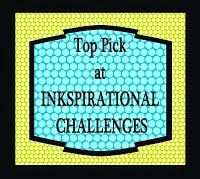 Their challenge this week is a color challenge using various blues and yellows. My first inclination when I saw these colors was to do a baby boy card; but I didn't really want to do that. 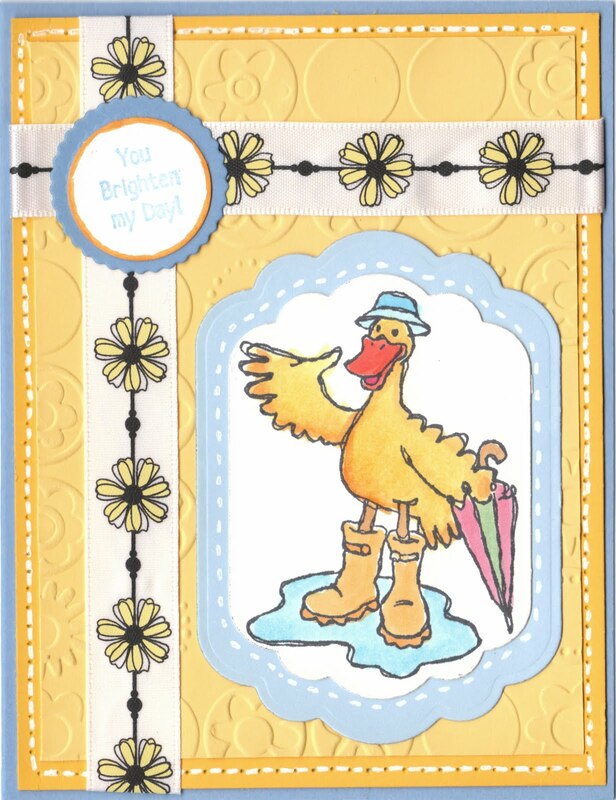 So, I looked in my OCL stamp set collection and found "Ducky Days" and I just knew it would be perfect with these colors. The sentiment in the corner, is a bit light in the photo; but it says: "You brighten my Day"
Have a great weekend!! I'll be back Monday or Tuesday. What a cute duckie! 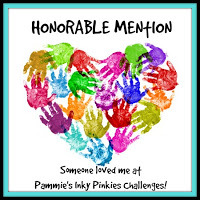 Your coloring is superb and the embossing looks awesome! Thanks for joining us over at PCJ. very cute, thanks for playing along with SSD! Very sweet card, thanks for playing along with our color challenge at OCL. This is adorable, what a cute image. 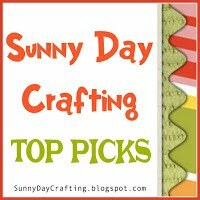 Thanks for playing along at SSD this week. 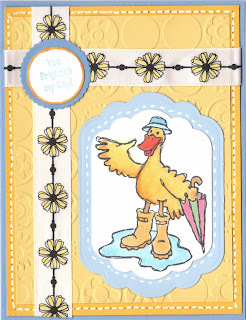 What an adorable card....the duck image is just toooo cute and I lvoe the pretty colors and layout!!! !